The title compound is monomeric with a Zn(II) hexacoordinated center. The coordination sphere is formed by four nitrogens from two phenanthroline molecules, one oxygen from a monodentate peroxodisulfate ion, and one oxygen from a water molecule. A non-coordinated water molecule completes the formula with an important role in the stabilization of the structure through the formation of two OHW–H···Opds bridges (acting as a donor) and one OCW–H···OHW bridge where it is an acceptor group (HW: hydration water; pds: peroxodisulfato; CW: coordinated water). The compound is triclinic, space group P-1 with a = 8.763 (3) Å, b = 9.068 (3) Å, c = 17.531 (6) Å, α = 96.48 (2)°, β = 103.94 (3)°, γ = 104.57 (3)°, V = 1286.0 (7) Å3 and Z = 2. The structure was solved by direct methods with a conventional R (on F) = 0.050 for 4534 reflections with Fo > 4σ(Fo). The compound is isomorphous with the Cd analogue (in Harvey et al. Aust J Chem 54:307, 2001). An eventual dependence of conformation and coordination mode of the peroxodisulfate anion on the ancillary organic ligand taking part in the coordination compounds analyzed is discussed. 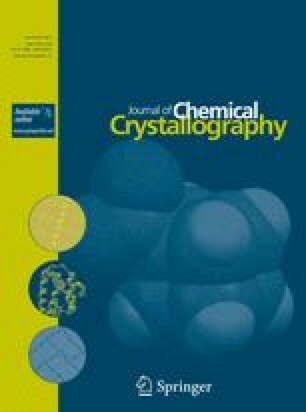 The crystal structure of [Zn(H2O)(C12H8N2)2(S2O8)]·H2O is reported. In addition, similarities in conformation and coordination mode of the peroxodisulfato anion in hybrid (organic–inorganic) complexes of group XII metal ions containing similar organic ligands are discussed. We would like to thank the Spanish Research Council (CSIC) for providing us with a free-of charge license to the CSD system.